Wild Water & Wheels is located about two hours drive from Toronto, about sixty kilometres from Highway 401, the busiest motorway in Canada. This location makes it more than a little awkward to get to for the passing coaster enthusiast, but it is worth the effort thanks to it having the only remaining example of a Bailey Auto Sled roller coaster. 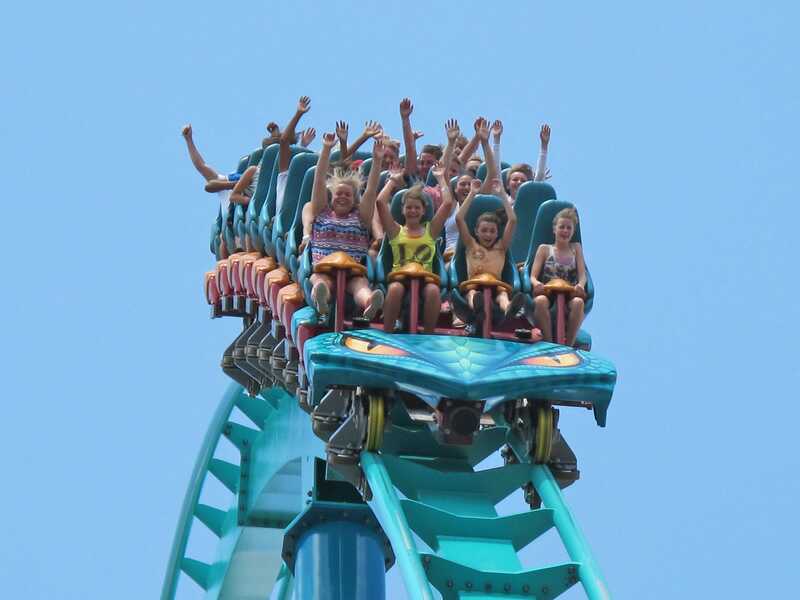 Bailey Manufacturing, based in Canada, developed their roller coaster design in the late 1980s. Rather than use trains, they designed their ride to use single seat sleds, similar to those found on modern alpine coasters, albeit without any braking. This makes them genuine coasters in my book, though of course the reader may well have a different opinion. The ride was also designed with separate loading and unloading platforms, so that the lift mechanism only needed enough power to move empty sleds. A total of six models were sold between 1986 and 1992. The first was manufactured from plastic rather than the more traditional steel, and operated for fifteen years at Putt N'Pond Speed Park in Ohio. The second, located at Kid's World in New Jersey, was destroyed by fire the day after it received its operating license, and is not believed to have ever taken passengers. 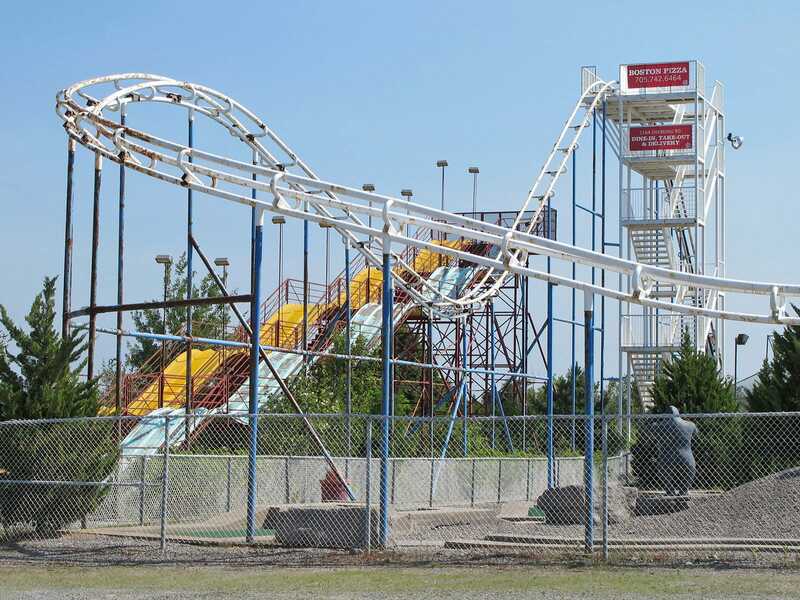 Three more were built at Sauble Beach Fun World, Windy Hill Watterboggan Park, and Boardwalk Fun Park, although the latter ran for less than two months before an unfortunate accident resulted in its closure. Pipeline Express (#1783) was the fourth member of the family, and I'm delighted to report that it's an excellent ride. Once moving, the sled goes through a drop, a gentle airtime hill, and a tour around the perimeter of the park before reaching an unload platform at ground level. While the top speed isn't very high, the ride nevertheless feels surprisingly fast and thrilling due to a seating position that is only a few inches above the track. The only rides that come close in my book are the two tube coasters from ABC Rides. The park owner immediately recognised us as coaster enthusiasts, noting that we were not the first of the species that he'd met. He was very friendly and welcoming, and allowed us to have an extra ride on the coaster at no cost, which was very much appreciated. He seemed quite proud of his star attraction, and with good cause; it's a shame that there are not more versions out there. Three years ago I decided to visit Canada's Wonderland in order to ride a massive new roller coaster from B&M. Behemoth has now been joined by Leviathan (#1784), an even larger ride that also happens to be the first coaster from the Swiss masters to break the three hundred foot mark. I've not been as impressed with a new coaster in some time; the front, middle, and back seats were all excellent, and the comfortable restraint design made the ride far more enjoyable than the other three giga-coasters. Having said that, the ride is over far too quickly. The top of the lift hill to brake run is around fifty seconds, and the train hits it at considerable speed, bleeding off a huge amount of potential energy that could and should have been used by additional track. These brakes also start about eighty feet in the air, leading to a slow descent back to the ride station. A series of airtime hills would have added an awful lot here, as would a helix or two. The ride is still good enough to take a top twenty position in my personal rankings, but making it a bit longer would have pushed it into the top five. I'd spent most of my allocated park time repeat riding the new coaster, but there was still time to catch up with Sledgehammer, one of my favourite flat rides, and Vortex, one of the few remaining suspended coasters. The latter was running really well; hopefully it'll still be around for me to enjoy on my next visit to the park.